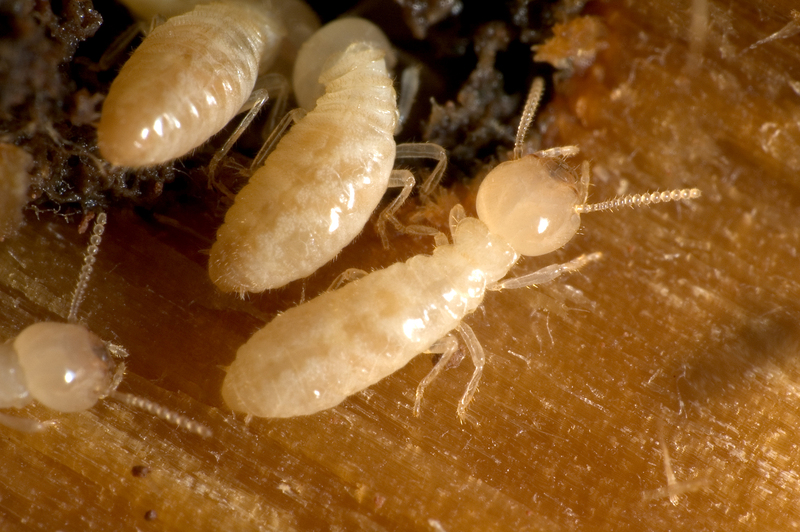 Termites are a homeowner’s worst nightmare. It can be a sinking feeling when you realize it is a possibility that your home is experiencing a termite infestation. If you have never experienced a termite infestation before, you may be wondering how to go about getting rid of these destructive pests. Ross Environmental Solutions is here to talk about termites and the first steps that are required in getting rid of them. Termites are known as wood destroying insects. They feed off of cellulose which puts any wood structure at risk of termite infestation. Subterranean termites are the most common termites found in the United States. They are a pest that you need to be aware of no matter what time of the year it is. Because your home is warm and they have a steady food source, even in the dead of winter they could be eating away at your house. The time that many homeowners realize they have a termite problem, is during the spring. This is because during the spring there are winged termites present that are swarming outside the colony in search of a new location to start a new colony. You may notice them around windows in an effort to get outside the house. Here are some of the other signs that indicate a termite problem in your home. –	Bubbled or Cracked Paint: As termites feed in your walls and get close to the paint, it can cause bubbling. Their waste, or frass, can also build up beneath the paint and cause it to bubble. If you notice any cracks in the walls that aren’t in line with foundational cracks, this is also a sign of termite presence. –	Hollow Sounding Wood: Wood that is full of termites will continue to get more and more hollowed out. When you knock on a piece of wood that termites have infested, it will sound extremely hollow. –	Mud Tubes: Subterranean termites live in the ground and travel to their food source. Their source of travel is through mud tubes that they build to protect them along the way. You will find these mud tubes on the foundation of your home. Because of the destructive nature of termites, it is not recommended that you take on an infestation without the help of trained professionals. You could run the risk of the infestation getting more and more severe as you try to use natural or weaker pest control techniques on an active colony. At Ross Environmental Solutions, we have commercial strength pesticides that will easily get rid of any termites that may be present in your home. You will find that when you leave the problem up to us, you will be saving money that would be spent in repairs when DIY pest control techniques fail and the problem continues to worsen. Call us today!